Syston is in north Leicestershire, about six miles from Leicester. Originally a village, it now has more of the character of a suburb of Leicester. In 1676 there were said to be 17 nonconformists living in the parish, although we are not told their denomination. Some would have been Quakers (see below), who met here from the late 17th century. Other residents in the late 17th century were Baptists, but initially worshipped at Arnesby, 14 miles away. 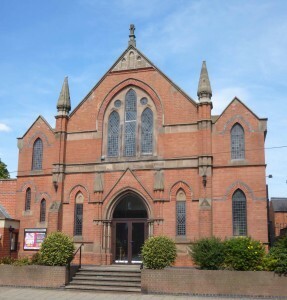 Syston Baptist church was founded in the 1740s. By the 18th century, several buildings were registered for worship, but in most cases the denomination is not recorded. These include two registrations in 1732, with others in 1758, 1763, 1764 (two), 1780 and 1793. For the 19th century, the main denominations were Methodists, including both Wesleyan and Primitive Methodists, and Baptists, originally General Baptists, but eventually Particular Baptists became prominent. In addition, ten Antinominions were recorded on the 1829 Return for Religious Meeting Places. By the late 19th century there was also a Salvation Army presence. The Baptist chapel, Primitive Methodist chapel and the original Wesleyan chapel have all been demolished. 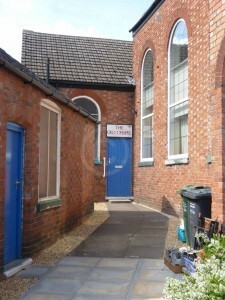 The later Wesleyan chapel of is now Syston Methodist Church and is still (2015) in use, with a modern church centre adjacent. Another former chapel, whose denomination is not known, still stands in Chapel Street. In 1706 the 147 families in the parish included ‘about ten Quakers’. There was no meeting house at that time, but in 1709 the vicar recorded that the Quakers met in the village ‘now and then’. By 1712, although they still had a meeting house in the parish, their meetings were said to be ‘seldom’. Thomas Palmer of Syston was married at Arnesby Baptist chapel in 1697, and a list of that group’s members in 1706 includes at least one Syston resident. There was just one family of Baptists in the village in 1706. They had no meeting house then, but by 1709 a group of Baptists were meeting at William Wright’s house, although the vicar had no idea of the numbers attending. There were only six resident Baptists, although some others in the parish were said to be ‘Occasionall dissenters’. 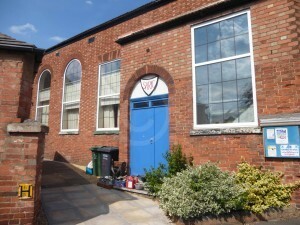 By 1712, the group appears to have met infrequently in Syston. William Allt, who had formed a Baptist congregation in Hinckley in 1746, went on to form Baptist churches at Sileby and Syston. The Syston chapel is first recorded in 1755. General Baptists were counted at 200 on the 1829 Religious Return, but by 1851 their numbers had fallen considerably. The Religious Census of that year recorded a meeting place built ‘before 1800’ that was part of a house, although it was being used exclusively for worship. It contained 40 sittings, all of them free. On census day, a congregation of 26 was recorded for each of the two services, held in the afternoon and evening. No average figures were given, and there is no evidence of a Sunday School. After 1851, there is no further evidence of General Baptists in the village. Particular Baptists first built a chapel in 1818, at a cost of £400. They were not enumerated at all on the 1829 Religious Return. The 1851 Religious Census, which listed them as Baptists, noted that the chapel was built in 1828 and contained 180 sittings, 90 of them free. On census day, attendance was recorded at 50 and 200 for services held in the afternoon and evening respectively. Attendance at the evening service was noted to have been larger than usual because of a sermon by the Primitive Methodists. However, figures for average attendance were not given. For Sunday School, attendance on census day was 97 and 20 for sessions in the afternoon and evening, with no average figures given. 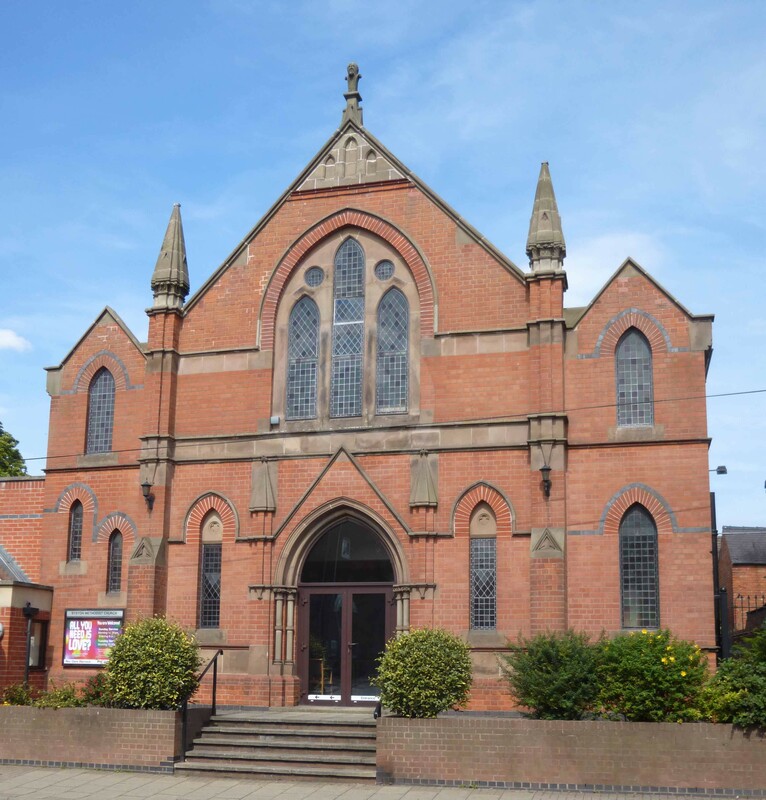 A new chapel was erected in 1868 at a cost of £400, and contained 200 sittings. The sources disagree as to whether the new chapel was an enlargement of the old chapel, or whether it was a new building. The village grew rapidly over the late 19th century, from a population of 2,470 in 1881 to 3,087 in 1911. Membership of the Baptist church fluctuated quite substantially over that period, increasing from 53 in 1881 to 75 in 1898, but then reducing to 40 by 1903, before recovering to 59 by 1911. There was a strong Sunday school, with 130 members in 1881, increasing slightly to 144 by 1903; it is noticeable that the same membership peak was not seen in 1898, when the Sunday school had 127 members. The earliest evidence of Wesleyan Methodists is of a meeting place they established in 1773 at the home of a dissenter. In 1797, a new chapel was built at a cost of £700, of which £400 was met by a single donor. By the time of the 1851 Religious Census, this chapel contained 200 sittings, 80 of which were free. Wesleyan Methodists were counted at 50 on the 1829 Religious Return. In contrast, on census day in 1851 congregations of 100 and 150 were recorded for services held in the morning and evening respectively. Corresponding figures for Sunday School were 73 and 30. Average figures were not given. The census form also noted that ‘many Sinners wants [sic] converting’, which may indicate intended expansion, although there is no direct evidence of preaching activity. Today (2015) the Wesleyan Methodists have a large chapel in the centre of Syston, with a modern church centre alongside. Primitive Methodists were counted at 15 on the 1829 Religious Return. They erected a chapel in 1836 with 160 sittings, 120 of which were free, as well as 30 standing spaces. On census day in 1851 attendance was 40 and 90 for services held in the afternoon and evening respectively. For Sunday School, attendance was 23 at one session, held in the afternoon. For both service and Sunday School, average figures were not given. Post-1851 sources seen so far confirm only the continued presence of Primitive Methodists into the 20th century. Evidence for the Salvation Army comes from Kelly’s Directory in 1895, which recorded the presence of Salvation Army barracks. Leicestershire and Rutland County Record Office (ROLLR), list of religious meeting places in Leicestershire, entry for Syston, QS 44/1/1, rot. 2. Ibid., QS 44/2/2, 31, 53 & 56. 1829 Return of Religious Meeting Places, entry for Syston, QS 95/2/1/57. R.H. Evans, ‘Nonconformists in Leicestershire in 1669’, Trans LAHS, 25 (1949), p. 139. S. Joyce, ‘Saints & malignants: Rothley and its neighbours in the 17th century’s times of turmoil’, East Midlands History and Heritage (2015), pp. 16-17. J. Broad (ed. ), Bishop Wake’s summary of visitation returns from the diocese of Lincoln, 1706-1715. Part 2, Outside Lincolnshire (Huntingdonshire, Hertfordshire, Bedfordshire, Leicestershire, Buckinghamshire) (Oxford, 2012), p. 826. A. Betteridge, Barton-in-the-Beans, Leicestershire: a source of church plants’, Baptist Quarterly (1995), pp. 76-7. 1851 Religious Census of England and Wales, entry for Old General Baptists, Syston, HO 129/416/69. White, Hist. Gaz. & Dir. Leics. (Sheffield, 1846) p. 458. 1851 Religious Census, entry for Baptists, Syston, HO 129/416/70. White, Hist. Gaz. & Dir. Leics. (Sheffield, 1877) p. 614; Kelly’s Dir. (1908) p. 579. G.T. Rimmington, ‘Baptist membership in rural Leicestershire, 1881-1914’, Baptist Quarterly 37 (1998), p. 391. 1851 Religious Census, entry for Wesleyan Methodists, HO 129/416/71. Kelly’s Dir. (1895) p. 337.